Columbus planted the New World’s first sugarcane in Hispaniola, the site, not coincidentally, of the great slave revolt a few hundred years later. Within decades mills marked the heights in Jamaica and Cuba, where rain forest had been cleared and the native population eliminated by disease or war, or enslaved. The Portuguese created the most effective model, making Brazil into an early boom colony, with more than 100,000 slaves churning out tons of sugar. As more cane was planted, the price of the product fell. As the price fell, demand increased. Economists call it a virtuous cycle—not a phrase you would use if you happened to be on the wrong side of the equation. In the mid-17th century sugar began to change from a luxury spice, classed with nutmeg and cardamom, to a staple, first for the middle class, then for the poor. By the 18th century the marriage of sugar and slavery was complete. Every few years a new island—Puerto Rico, Trinidad—was colonized, cleared, and planted. When the natives died, the planters replaced them with African slaves. After the crop was harvested and milled, it was piled in the holds of ships and carried to London, Amsterdam, Paris, where it was traded for finished goods, which were brought to the west coast of Africa and traded for more slaves. The bloody side of this “triangular trade,” during which millions of Africans died, was known as the Middle Passage. Until the slave trade was banned in Britain in 1807, more than 11 million Africans were shipped to the New World—more than half ending up on sugar plantations. According to Trinidadian politician and historian Eric Williams, “Slavery was not born of racism; rather, racism was the consequence of slavery.” Africans, in other words, were not enslaved because they were seen as inferior; they were seen as inferior to justify the enslavement required for the prosperity of the early sugar trade. The original British sugar island was Barbados. Deserted when a British captain found it on May 14, 1625, the island was soon filled with grinding mills, plantation houses, and shanties. Tobacco and cotton were grown in the early years, but cane quickly overtook the island, as it did wherever it was planted in the Caribbean. Within a century the fields were depleted, the water table sapped. By then the most ambitious planters had left Barbados in search of the next island to exploit. By 1720 Jamaica had captured the sugar crown. And yet there was no stopping the boom. 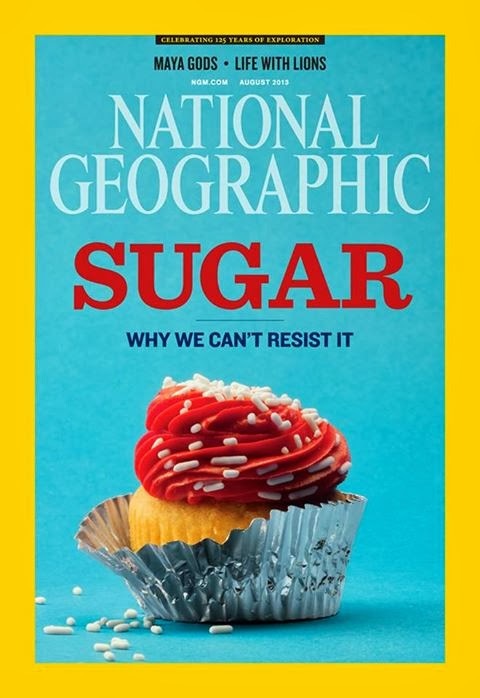 Sugar was the oil of its day. The more you tasted, the more you wanted. In 1700 the average Englishman consumed 4 pounds a year. In 1800 the common man ate 18 pounds of sugar. In 1870 that same sweet-toothed bloke was eating 47 pounds annually. Was he satisfied? Of course not! By 1900 he was up to 100 pounds a year. In that span of 30 years, world production of cane and beet sugar exploded from 2.8 million tons a year to 13 million plus. 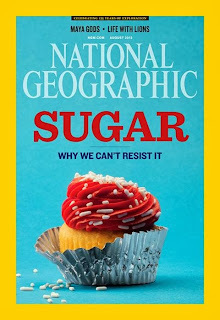 Today the average American consumes 77 pounds of added sugar annually, or more than 22 teaspoons of added sugar a day. If you go to Barbados today, you can see the legacies of sugar: the ruined mills, their wooden blades turning in the wind, marking time; the faded mansions; the roads that rise and fall but never lose sight of the sea; the hotels where the tourists are filled with jam and rum; and those few factories where the cane is still heaved into the presses, and the raw sugar, sticky sweet, is sent down the chutes. Standing in a refinery, as men in hard hats rushed around me, I read a handwritten sign: a prayer beseeching the Lord to grant them the wisdom, protection, and strength to bring in the crop.